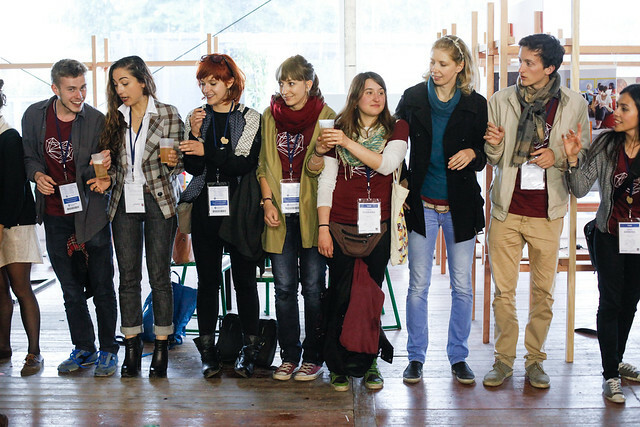 Like at many conferences, OuiShare Fest is the type of event where volunteers play an important and valuable role. Without them, the event would not be possible. Being a volunteer is a great opportunity for new people to see the event organization from a different perspective, meet people and become part of the team, especially if they intend to get more involved in the OuiShare community. Since 2013, the event has been run thanks to between 70 and 150 volunteers. These volunteers either support the event with one-time or recurring contributions, i.e. volunteering during the event itself, or supporting the team’s activities during the preparation of the event. Travel and hosting expenses are not covered, but the organization team makes an effort to find free hosting (Couchsurfing) for all volunteers who come from abroad. OuiShare Fest volunteers work 50% of the time and have 50% free time. They are also usually expected to help on the days of setup and clean up after the event. Here are some useful templates for managing the application and onboarding process for volunteers.